The installation of Officers for 2013 is complete. Attendance for the Installation was disappointing. All Officers are certified in their various stations and tasks. My personal thanks to the brethren for entrusting to me the office of Venerable Master in the Lodge of Perfection. I look forward to an interesting year and hopefully to increased attendance. The Four Masters and their corps of officers will be organizing a couple of social functions for each of the four bodies for the coming year. I encourage you to participate in those functions. 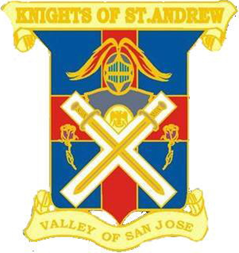 The Knights of St. Andrew will be organizing some entertainment for the members and families as well. Look for the announcement in future newsletters. Please remember that "RSVP" is not just decoration for dinner, social and meeting advertisements, It simply means that we need to know that you are attending. Please follow through so that you are not embarrassed. The following was posted on Linked IN as part of the Group “Forget Me Not Pin” by Brother Michael Dean Aulsebrook, Durban area, South Africa. 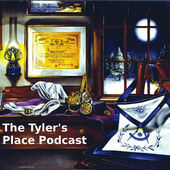 It is appropriate considerations for all Masons and since we are Scottish Rite Masons, I thought everyone might like it.